It has been four years since my faith bubble burst and I began my journey into the wilderness. Four long years of deconstructing what I actually believe. Four years of questions why I do the things I do. Four years of doubts if this makes sense at all. Many months of anger at people, the church, God himself. Many months of loneliness when I just couldn’t go back in there. Many months of exhaustion when I was about to give up. Many months of fear if it would always be this way – uncertain, tiring, grey. In the midst of all the questions, I still come to you for answers. In the midst of the broken down buildings of my faith, I still find new treasures in the rubble. In the midst of all the unknown, I still experience a peace that is not of this world. Even though there are a lot of lonely moments, I still discover you in the least expected moments and people. Even though there is a lot of grey, I still learn that it has more colors than I could ever imagine. So I still make my way into the wilderness and find that you’ve been waiting there for me. I’ve discovered something beautiful: the loneliest steps are the ones between the city walls and the heart of the wilderness, where safety is in the rearview mirror, new territory remains to be seen, and the path out to the unknown seems empty. But put one foot in front of the other enough times, stay the course long enough to actually tunnel into the wilderness, and you’ll be shocked how many people already live out there – thriving, dancing, creating, celebrating, belonging. It is not a barren wasteland. It is not unprotected territory. It is not void of human flourishing. […] The walk out there is hard, but the authenticity out there is life. Jen Hatmaker in: Braving the Wilderness . Brené Brown 2017. “You know what I’d like to do right now? Go and have a coffee.” My friend had just arrived to spend the weekend with me. The official reason is a photo exhibition she’s about to open here – but it was an added bonus to have a few days together without her kids or my pressing work schedule. So we went for coffee and a second breakfast in the middle of the day. As we indulged ourselves in pancakes and extra large coffee mugs, we updated each other on what had happened in our worlds since the last time we had talked. We shared news of friends who were struggling at work, relationships that were breaking apart, and the feeling of helplessness on the outside. We sat there wondering, our hearts aching for all the dear people who worked so hard and saw their lives falling apart nevertheless. I guess we’re less in control of life than we’d like to be. Often it doesn’t take much to lose it and stand in front of broken pieces, dreams, hopes. When things on the outside start falling apart, we might have to take a closer look at the inside. What gives our souls its balance and our hearts its stability? The more I am caught up in the busyness of the working world, the seeming expectations of others and the impossibility of doing it all, the more I realize that I cannot just brush up the outside. A nice facade will only look nice until the winds of life start crashing against it. If we want balance in our souls and lives, we need to work on the inside and create some depth that will navigate us safely through the rough waters. Maybe this Advent season can serve as a reminder to slow down, light a candle and meditate on this simple, and yet so challenging, message. Writing for Five Minute Friday today. Happy second Advent, y’all! It’s Friday night and I’m in my kitchen carving what’s left of the turkey. My thoughts wander back to last night when my apartment was filled to the brim, every last seat taken by friends and family to celebrate Friendsgiving. The smell of cranberry sauce, roasted meat and pumpkin had exuded into the entire house. The food was rich and heavy; and we stuffed ourselves until we had to hold our bellies. We laughed at new jokes and smiled dreamily at old memories. We talked until the last bottle of wine (and there weren’t few) had been emptied. And yet, my favorite moment was when we sat down at the table to share what we are thankful for. Such a simple and yet challenging practice. A job that fulfills you. Protection in the chaos of busy schedules. Fellowship with colleagues and friends. Healing and hope in the midst of pain. The abundance we have been given has nothing in common with materialism. In a culture that wants to sell us fast and cheap deals, we need moments when we sit down and think about what really matters – People, unexpected grace and time are the things we truly value. We find life, community and belonging when we sit down at the table. In moments like last night I realize that faith was meant to be more like that. A God who invites us to his table and all we can bring is ourselves. A story that has nothing in common with what we do or where we come from. A conversation about the darkness and joys of life. A celebration of the beauty that embraces us all. A place where we find true belonging, honest community, abundant life. If you have any good Thanksgiving leftovers recipes – hit me up! Sometimes I wonder how stupid we as human beings can be. In the attempt to understand our world and with our innate desire for everything to make sense, we have simplified so many of life’s big stories and happenings. We have put everything and everyone in boxes, sorted all the world’s mysteries into logical categories. We seem to have done everything right. And maybe gotten it all wrong. What if there is more than one answer to the nagging questions in all of us? What if issues are more complex than we wish them to be and we need to wrestle with them for days, months, years until we experience a breakthrough? What if “I don’t know” is actually an honest gift in a conversation? What if people are more than they let on initially and we actually need to take the time to dig deeper and uncover the treasures inside them? What if the ‘others’ are more like us than we allow them to be within the walls of our hatred and prejudice? What if God has more shapes, faces and character traits than we have boxed him in and we have barely scratched the surface of the truly divine? What if we miss out on so much beauty, color and abundance if we narrow our view to just the one thing? 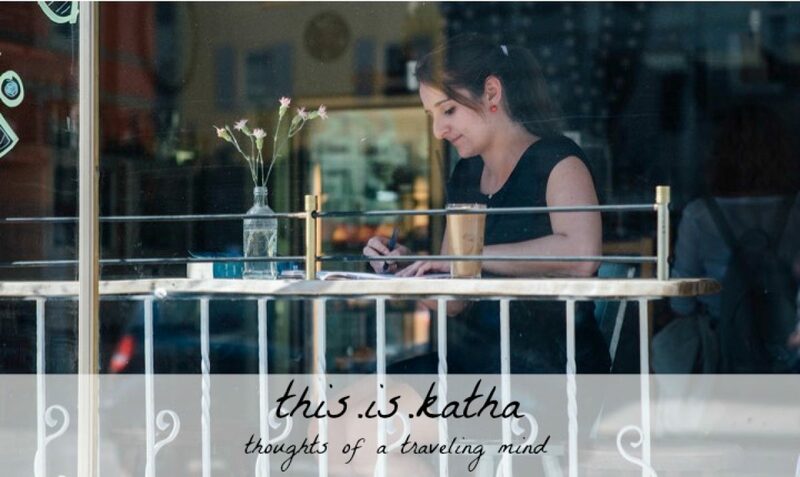 Author Katha von DessienPosted on November 19, 2018 November 18, 2018 Categories English Only, Faith, Five Minute Friday, Just Life, ThinkingOutLoud8 Comments on What If?